I read mostly when I've got extra time, or working on crafts for next years county fair. sooo.......what do you do with your extra time???? I usually read too....but I also write and work around my house when I'm not busy with school and stuff. Paint, read, and play with my cat. I cant say I dont have spare time, but it doesnt feel like I do some days. I love to read, play on the Prairie, and listen to music. Sleep, listen to music, watch tv, and go on the net. yea, I forgot to add that I come to this place when I have spare time! i get on the internet when i can and watch hockey. othere than that i am soooo busy i don't have alot of time! i should update my answer. I like to read, get on here, email my friends, and watch hockey during the fall. i normally don't have all day though. Read a book, or go outside and play Basketball. Write. Draw. Sing. Run. Play baseball. Play basketball. Really no, fish/photography/sports/reading/internet/hobbies and more. 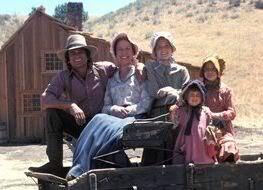 Go horse-riding, spend some time on FB, watch Bonanza, LHOTP and Little House forum too.. I usually read, try vintage hairstyles, vintage makeup styles, take a walk, practice my guitar. I really don't have much spare time. I read a lot, but I also love walking around my small town. I love to hang out with my friends, and three crazy sisters. I pretty much spend half my life at the library. I read a lot, mainly Ted Dekker or Peretti. I also enjoy sketching animals and human faces (If I do bodies it just doesn't turn out right). I'm a huge homebody. I have 2 friends, so I don't go out much, but when I do its really fun and I love to laugh! Oh how I love funny things and comedy! Subject: Re: What do you do with your spare time? ?